Yakuza 5 - Hard Lined Yakuza Story or Pop Idol Simulator? Yakuza 5 is one month away from release in Japan, and SEGA has the hype machine in full gear out here. Kazuma Kiryu and his tattooed cohorts have been popping up all over subway posters, comic inlays, and soft drinks. SEGA just released two new trailers for their upcoming open-world crime game, and they seem to have no reservations about playing up the schizophrenic nature these games have developed over the years. First, we have a look at the storyline. The Yakuza games have never had a problem delivering drama gangster scenarios full of immoral men committing awful atrocities and yet looking so cool while doing it. They ring true to classic Japanese tales of honorable criminals who lurk on the fringes of a corrupt syndicate yet remain free from conforming to a society which relies heavily on conformity. Romantic and a far fetched deviation from the truth, but they are entertaining none the less. Following that comes the gameplay trailer, showing off the game's wide assortment of mini games and extra activities beyond running the Japanese underworld. Hunting, retro arcades, baseball, brawling with high school punks, training idols, bathing with gorgeous call girls, and pimping out your own taxi service, all spread across five of Japan's biggest metropolis centers. These are also obviously a far cry from the daily lives of real Yakuza, but the fans crave these time sinks almost as much as they enjoy the main game itself. Watching the two trailers, you'd be hard pressed to guess that they both come from the same game. 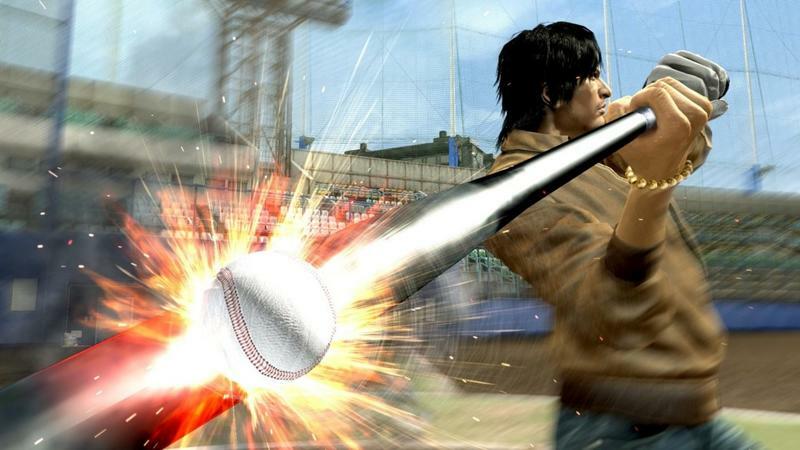 SEGA has gotten closer and closer to balancing the two halves of every Yakuza game with each release, and Yakuza 5 is one step closer to finding that magic ground. Who knows, they might even nail it this time. Yakuza 5 will be released in Japan on December 6th for the PlayStation 3. Still no official word on an American release yet, and SEGA hasn't exactly been thrilled with the response to their physical HD releases. Keep your fingers crossed.